Bacon Makes Everything Better! 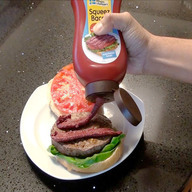 Try our new Bacon Condiments! Bacon Gifts - Unique and Delicious Holiday Gift Ideas!